Kevin Sprecher grew up in Short Hills, NJ and the San Francisco Bay Area. After graduating from Arizona State University in 1992, he began working for Jim McLean at the Sleepy Hollow C.C. in Scarborough, New York during the summer and the Doral Resort and Spa in the winter. For three years, Kevin assisted Jim McLean with private lessons, schools, seminars and clinics. He worked closely with PGA, LPGA, and Nationwide touring professionals, conducted follow up lessons with Jim McLean's private students. He has been the Director of Instruction at Sleepy Hollow C.C. for the past 13 years, and previously spent the summers teaching at Atlantic G.C (2002), Glen Oaks C.C. (1995-1996) and The Piping Rock Club (1997). 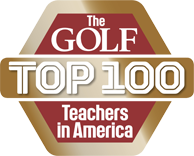 Kevin is the 2018 Met PGA Teacher of the Year and is a GOLF Magazine Top 100 Teachers in America. In 2015-16, Golf Digest ranked him number twenty on the Top 50 list of instructors in New York. Kevin has had the opportunity to work with a number of PGA, LPGA, and top amateurs; for example, Tom Kite, Cristie Kerr, Kelli Kuehne (1995 & 1996 US Women's Amateur Champion), Peter Jacobsen, Len Mattiace, Liselotte Neumann, Brad Faxon, Tommy McDonagh (2008 Met Am Champion, 2011 CT amateur Champion), John Ervasti (2011 MGA Senior Open and Amateur Champion), Allan Small (2013 NJ Senior Amateur Champion), George Zahringer (USGA Mid-Am Champion, 2013 Senior British Amateur Champion), Bill Murray (2011 AT&T National Pro-Am Champion). He currently serves on the Met Section PGA education board. Kevin Sprecher is the PGA Director of Instruction at Sleepy Hollow CC in Scarborough, N.Y., where he began working under Jim McLean. A graduate of Arizona State, Kevin has worked with some of the top PGA Tour, LPGA, and amateur golfers in the country. Titleist Scotty Cameron Select Monterrey 2.6 Heavy - 34"
Sleepy Hollow is 1 of 4 Titleist Regional Fitting Centers. Fittings also available for TaylorMade, Callaway, Ping, and Mizuno. 2018 Met PGA Teacher of the Year!